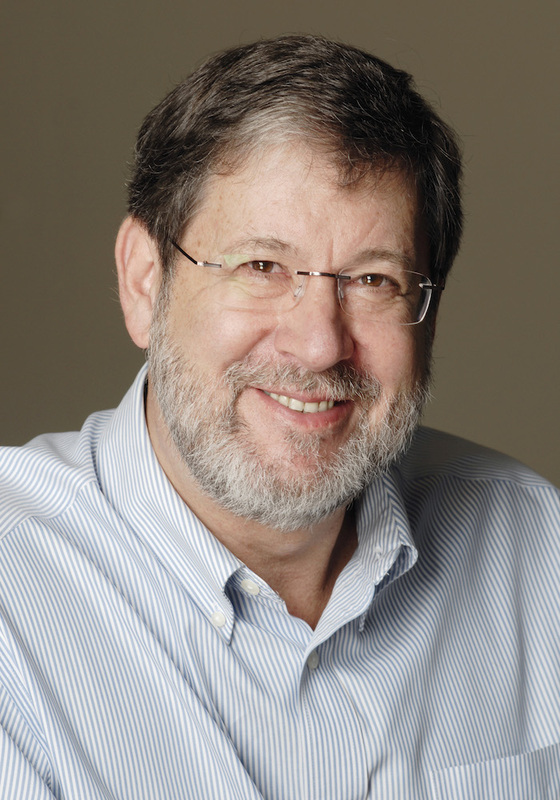 John joined the Garvan Institute as the Executive Director in January 2012. He has made a significant contribution to the understanding of genetics and genomics through his farsighted theories on ‘junk’ DNA, the large non-coding sections of the human genome that do not code for proteins. Most recently John was the Professor of Molecular Biology and NHMRC Australia Fellow at the Institute for Molecular Bioscience, University of Queensland. John was educated at St Patrick’s College Strathfield, the University of Sydney and Monash University, where he obtained his PhD. He has subsequently worked at Baylor College of Medicine in Houston, the CSIRO Division of Molecular Biology in Sydney, and the University of Queensland, where he was based from 1988-2011. He has also spent research periods at the Universities of Cambridge, Oxford, Cologne and Strasbourg. He was Foundation Director of the Australian Genome Research Facility and the Institute for Molecular Bioscience. The last decade has seen an extraordinary revolution in the technology of DNA sequencing. This has meant that the cost of sequencing a human genome has dropped from nearly a billion dollars in 2001, when the first draft of a human sequence was completed, to less than $10,000 today (Figure 1). We’re now seeing the first prototypes of sequencing machines that promise the capacity to sequence a human genome in a few hours for less than $1000. Even at current costs, this acceleration in sequencing has enabled a whole suite of studies into human variation at the genetic level. In the cancer arena, the international cancer genome projects—with which we’ve been involved—show that cancer is a heterogeneous disease. While there are differences in the distribution of mutations in cancers from different tissues, a surprisingly high percentage have mutations in common. This is not obvious from the pathology and can, in many cases, productively inform treatment options and save lives. However, this is just the tip of an iceberg. There are large numbers of human genomics studies around the world producing an explosion of information about how individuals vary in physical and, to some extent, psychological characteristics. These studies are also identifying idiosyncrasies in our DNA that can leave us at risk for complex diseases. Taking advantage of that information can be useful even at this early stage. In a recent Cell paper , the Chair of the Stanford University genetics department gave himself a battery of medical tests and analysed his own genome. By integrating this information, he was able to successfully identify his own type 2 diabetes and take steps to manage its impact. Genomic stratification – to identify the underlying mutations in cancer – is quickly becoming the standard of care in cancer. Some of these mutations are considered ‘actionable’ because there are existing drugs that have been developed to treat the same mutations in other tissue contexts. Others may predict outcomes in response to existing therapies. Usage of partial or whole genome sequencing in diagnosing monogenic diseases is also moving quickly. While monogenic diseases, which have catastrophic mutations in protein-coding sequences, are usually individually rare, they collectively account for more than 1% of births in our population. Faster, cheaper sequencing provides the opportunity to analyse an individual’s DNA sequences very quickly. As a result, there are an increasing number of examples in the literature where such information has transformed clinical treatment and the health of the individual. The bottom line is that we going through the most extraordinary exploration of human genetic programming and genetic diversity in history. This will have an enormous impact on medical practice. Eventually, everybody’s genome will be sequenced and incorporated into their medical record. Clinicians and physicians of the future will be referring to this information as part of standard care for their patients, in conjunction with contextual information such as diet, economic and cultural circumstances. Where many of the treatments that we traditionally use were pitched at the average of the population, it is now possible to personalise care. This begins with making judgments about people’s drug responses and tuning those accordingly to get the best effective dose and avoiding side effects. It is expected to extend to assessing an individual’s risk of complex diseases like diabetes, osteoporosis and stroke and helping them to take ameliorative behavioural, lifestyle, dietary or pharmaceutical strategies as appropriate to reduce those risks. There is going to be an extraordinary cultural and operational transition from treatment to health optimisation. The challenge is to translate the literally millions of differences between individual whole genome sequences into simple, lucid, clinically-actionable information that can be accessed at point of care. This means, I think, that in the background, we’re going to see the development of national and international genotype-phenotype databases that will assemble and collate evidence-based information about how human genetic variation indicates disease risk and health futures. Rather than suggest that this is a threatening development, I think this is a wonderful opportunity for young clinicians to empower medicine through the integration of genomic information with other aspects of practice and care. This is an extraordinary time of technical, intellectual and conceptual change, which offers medical students the opportunity to embrace a career in research and to invest their futures with a major medical research institute. Genomic medicine will have as big an impact on health as antibiotics, and it will be your generation that takes this forward. Wetterstrand KA. DNA Sequencing Costs: Data from the NHGRI Genome Sequencing Program (GSP) Available at: www.genome.gov/sequencingcosts. Accessed 22 April 2013. Biankin, A. V., Waddell, N., Kassahn, K. S., Gingras, M.-C., Muthuswamy, L. B., Johns, A. L., . . . Grimmond, S. M. (2012). Pancreatic cancer genomes reveal aberrations in axon guidance pathway genes. Nature, advance online publication. doi: [10.1038/nature11547]. 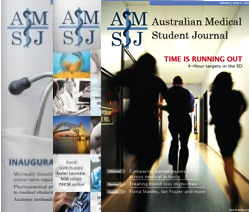 A new paradigm for assessment of learning outcomes among Australian medical students: in the best interest of all medical students? International medical electives: time for a rethink? What comes next after #interncrisis? Sugammadex – the solution to our relaxant problems? Probiotics: A New Recommendation with Proton Pump Inhibitors? Oral Health – An important target for public policy?